Keanu Reeves may not be the best actor working today. His monotone delivery is one that is easily recognized and yet constantly scrutinized by critics and audiences alike. Ironically enough, Reeves has been one of the most bankable stars working in the last two decades, always recouping a film’s budget if not surpassing it altogether and drawing in huge profits. Unfortunately, Reeves has had a taste of his first blockbuster bomb, and after almost 20 years as a recognized Hollywood star, it’s admirable to know that it took this long for him to have a bomb of a film. What’s more admirable in the Reeves canon, however, is how dedicated he is to honouring Asian culture and his constant efforts to preserve the integrity and authenticity of folklore throughout its transition to the big screen. For that, Reeves is an actor who may not be in-line for an Oscar but one who I am proud to call a fine Canadian and preserver of ancient Japanese and Chinese culture. Born in Lebanon from a native English mother and Hawaiian father with Chinese, Portuguese, and Irish ancestry, Reeves encapsulates the cultural mosaic that is Canada. 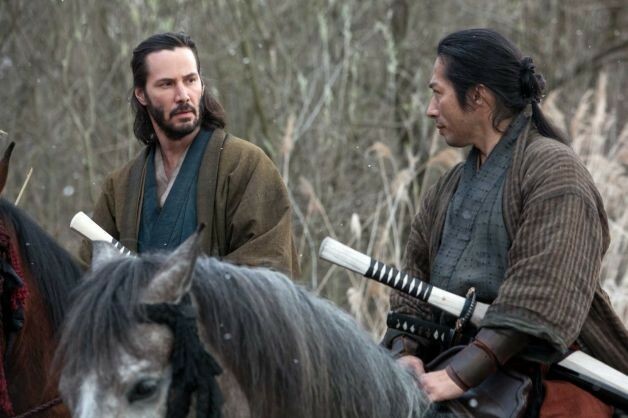 Raised as a Canadian, and identifying as such, Reeves is front and centre in 47 Ronin—an American take on Japanese folklore, featuring a Canadian film star, American director and a predominantly Japanese cast. Now talk about a blend of cultures for the sake of art. 47 Ronin is not a terrible film by any means. Instead, the film surfaces as a very loyal, overly-spectacular and highly embellished account of Japanese culture and history. With the addition of witchcraft, demons, monsters, half-breeds and stylistic alter-world entities, the film at times feels like a dated piece of cinema which loses much of its extravagant special effects credit due to its elongated production time and the context in which it is presented. 47 Ronin succeeds in its focus on the Japanese tale, highlighting the essential themes of honour, dignity, loyalty, and duty, as opposed to the more obvious spectacles of mystical creatures inhabiting a special-effects laden world. The story begins with Kai (Reeves), an outcast boy who is the offspring of a British sailor and peasant Japanese woman. When a young Oishi (Hiroyuki Sanada) finds Kai in a nearby forest, he believes that the boy is possessed and was raised by demons. Saved by master Lord Asano (Min Tanaka) and adopted into the town, Kai lives a life where he is barely visible to anyone–except Princess Mika (Kô Shibaski) who he is secretly falling in love with. After many years of becoming the designated “half-breed” of the village, Kai integrates into the town and just survives. It is not until Shogun Tsunayoshi (Cary-Hiroyuki Tagawa) arrives to the town for a traditional ceremony when neighbouring town leader and power-hungry Lord Kira (Tabanobu Asano) and his witch-crafting mistress (Rinko Kikuchi) sabotage Lord Asano, leading him to his death. Outcastes like Kai, the remaining soldiers under Lord Asano’s reign become Ronin (a samurai with no Lord or Master). Oishi, the leader of Lord Asano’s army, is imprisoned for a year. Upon his release, Oishi begins a plan to avenge Lord Asano’s death with the help of Kai and the remaining Ronin against Lord Kira. In 1997, Reeves met virtually unknown yet soon-to-be star choreographer Tiger Hu Chen while making The Matrix. As time passed, the two became good friends and Chen taught Reeves much of the old and almost lost techniques of the Japanese and Chinese cultures. Through Chen, Reeves was able to gain a new appreciation for a culture that ran through his blood, but seemed almost forgotten. In the five years it took to make 47 Ronin, Reeves was able to still act in other films and make his feature film directorial debut with The Man of Tai Chi, starring his friend Chen. Reeves, who has Chinese blood in his ancestry, seems almost destined for roles like Kai. With that said, it is so unfortunate that a tale with such fibre and poignancy, was done so poorly and half-heartedly. 47 Ronin is a stylized and fantastical reimagining of the classic tale with giants and witches–but not much heart. Taking cues from The Lord of the Rings trilogy as well as action sequences from Troy, Ronin is an exhausted, lacklustre fantasy adventure with a sword’s edge that isn’t quite as sharp as we’d like. The most moving scenes in the film involve those around the ritual suicide (seppuku) of its one-dimensional characters and the betrayal by lust each character faces within the film. Unfortunately for the film, it seems that it will be remembered more so for its box-office failure than for the story itself. Opening a week prior in Japan to dismal reviews and a poor box-office response, it seems impossible that the film has any real chance of making back its ridiculous $175 million budget domestically or internationally. 47 Ronin will surely be a cautionary tale for studios in the future. Directed by newcomer Carl Rinsch in his feature film debut, this will surely serve as a lesson for production companies entrusting a $175 million fortune to a nearly inexperienced director tackling a beloved historical event and a prestigious part of Japanese culture for the sake of entertaining a mostly Westernized audience. Much like the monotone acting of it’s star, 47 Ronin will surely be a mono-layered joke within the movie industry for many years to come, especially when so much potential and embedded history and culture could have made it something more than a lesson for studios in the future. 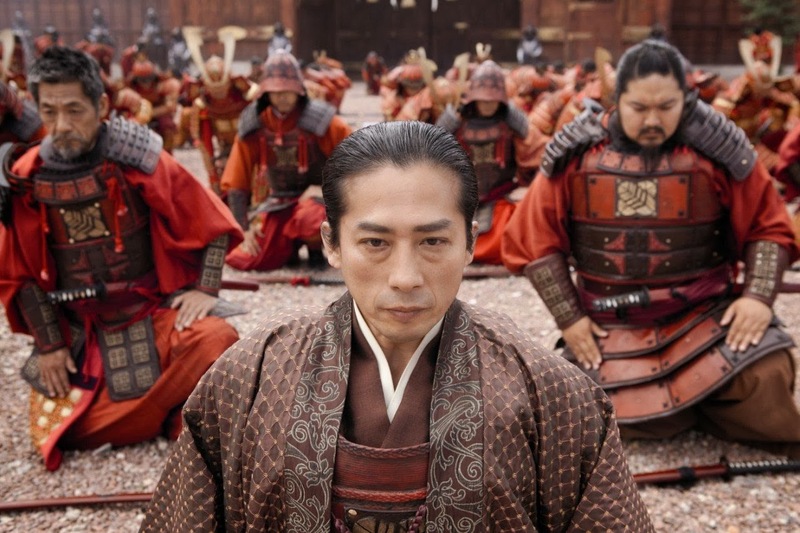 Is 47 Ronin a half-breed of a good film or just plain terrible? Can Keanu Reeves save a pre-destined failure? Seen it? Leave your comments and thoughts below! This entry was posted in Reviews and tagged 47 Ronin, Carl Rinsch, Hiroyuki Sanada, Keanu Reeves, Rinko Kikuchi, Tadanobu Asano. Bookmark the permalink.